This week we celebrate the Ask A Ninja producers, Kent Nichols and Douglas Sarine as our FU of the Week! Why? Because they will kill us if we don't. 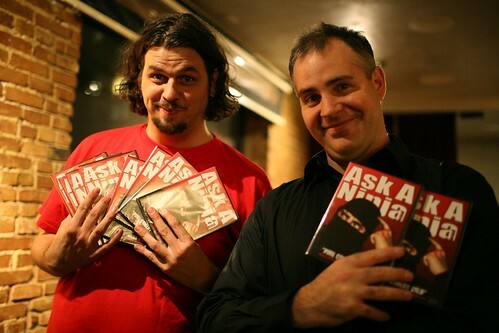 First released in November 2005, Kent and Doug created a web video series that consisted of a Ninja, a camera, and a question. The question came from the audience, who asked things like whether or not Ninjas celebrated Christmas, or how they themselves could become Ninjas. Its simplicity seems to be the key to its longevity. The Ninja team keep production costs low, harness the power of their community, and are leveraging it all towards the next creative rung on the ladder. 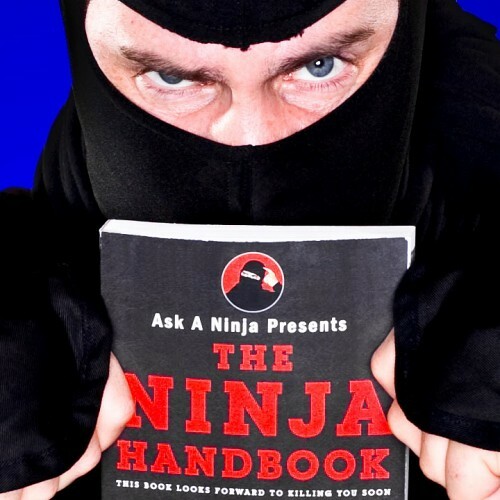 Now, after over eighty episodes, Kent and Doug have written a book based on the Ask A Ninja franchise called The Ninja Handbook. We've read the book, and we must in all honestly say that it'll leave you in stitches... or perhaps just bleeding helplessly on the floor from a busted gut. The team is also in the development stage of a feature-length film Attack of the Killer Tomatoes. If Ask a Ninja is any indicator, AOTKT will be full of hilarious killing - because killing usually is.